Around here, the word milestone is a lot more than the name of our church. A milestone is a huge, defining moment that we all experience in our lives. 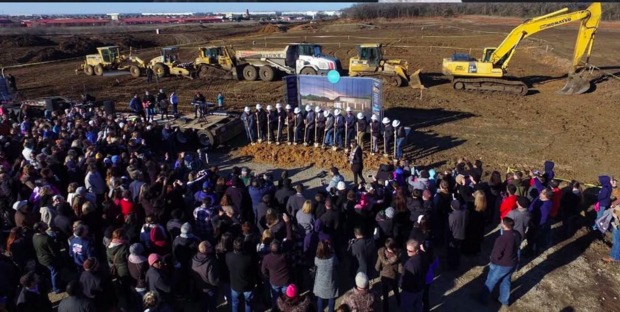 This past January, our church family celebrated one of these moments when we broke ground on our new home. Our God is a big God, and when His church joins together with a common vision, He can do big things through His people. That’s what we’ve seen at Milestone! Thirteen years ago 32 people moved to Keller, TX to start a church that would reach people and build lives, and that’s exactly what happened. Year after year we’ve seen thousands of lives transformed by the power of God. What began in a hotel ballroom with shag carpet and gold-trimmed mirrors has grown into a vibrant, healthy local church. So of all the steps we’ve taken as a church family, the groundbreaking event was definitely one of the most memorable. You can watch a recap of this amazing event in the video below.